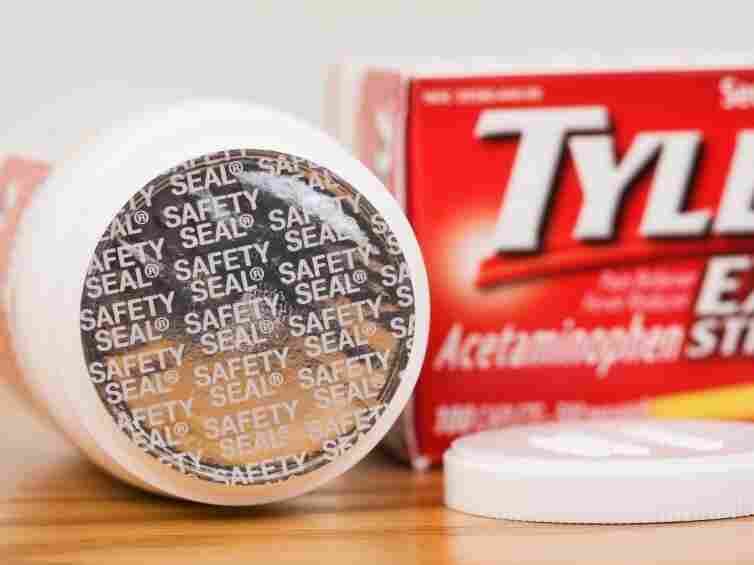 Tylenol Bottles: Hard To Open For 30 Years In the days when over-the-counter drugs weren't so tamper-proof, seven people died taking poisoned Tylenol. Packaging has tightened up since then, and today, the way Johnson & Johnson handled the situation is still considered textbook crisis management. Thirty years ago this weekend, seven people died from ingesting Tylenol that had been poisoned. Since then, Johnson & Johnson has overhauled its packaging. Opening a new package of Tylenol can take some effort. There's the cardboard packaging, plus the push-and-twist top and the safety seal. It used to be a matter of just popping off a cap. Thirty years ago, seven people died in Chicago suburbs after taking poisoned Tylenol. Pharmacies pulled Tylenol off the shelf in a panic, and the nation was in shock. Richard Keyworth was a firefighter in the area and one of the first investigators in the Tylenol murders case. He says investigators quickly realized the poison was hidden in bottles of Tylenol, but no one knew how it got there or how many people were at risk. "There was a feeling of helplessness, and Tylenol was the medication for everything," he says. "If you can't trust that, what can you trust?" Investigators said the poison was likely slipped into bottles after they were already on store shelves. Johnson & Johnson recalled about $100 million worth of Tylenol. No one was ever charged with the crime. The FBI has reopened the cold case and investigators are using new technology to search for DNA evidence. Mark Mandell was finishing up pharmacy school in Chicago when the Tylenol murder story broke in 1982. He says for a while, people were scared to take just about any medication. "You really had to try to reassure people, but how confident were you as an individual? Because no one knew. It was unknown who the attacker was, what the motive was, and ... it was out there," he says. The deaths spurred new regulations on over-the-counter drug packaging. The FDA and Congress quickly passed a federal anti-tampering law. Mandell says there shouldn't be any confusion now about how to handle a product with a broken seal. "It's sort of in your face. You know, if anything appears wrong, don't use it," he says. Over time, Tylenol bounced back to its status as a household name. O.C. Ferrell, a marketing ethics professor at the University of New Mexico, says the way Johnson & Johnson handled the Tylenol case is still considered textbook crisis management. "If you're a really good company, like they were in making this recall, you've got to say, 'If we don't protect the brand name and our integrity of our reputation, then nothing will matter in the long run,' " he says. Now, for many Tylenol users, perhaps the biggest thing they worry about is getting the bottle open.